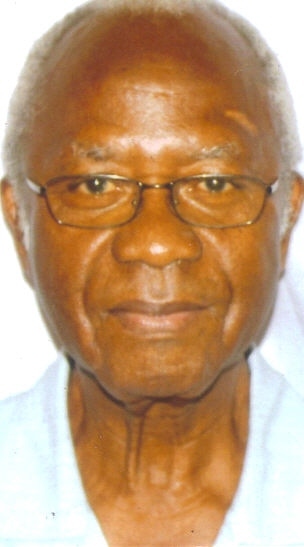 When Sierra Leone’s most formidable and prolific octogenarian political commentator and opposition SLPP party grandee – Dr. Sama Banya – alias Puawui (Photo), announced his retirement from public writing over a year ago, hundreds of thousands of Sierra Leone Telegraph readers were saddened. His retirement brought an abrupt end to the ‘Puawui’ column, which had for many years become a national and international icon – a must read. And since the conclusion of the 2012 general elections in Sierra Leone last November, the ‘master-wordsmith’ had refrained from making political statements or pronouncements, which may, or is likely to be misconstrued. 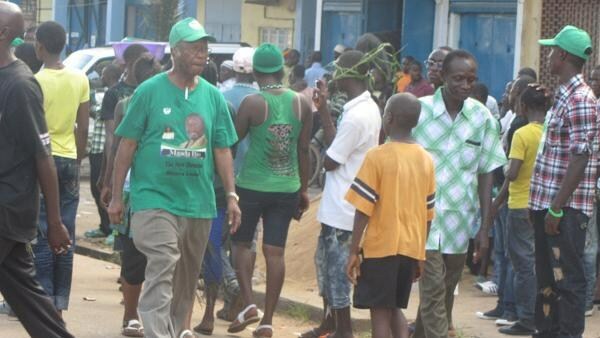 His passion for, and loyalty towards the SLPP party has never been in doubt or questioned. And so too, has his ability to discern what is best for the party, remained razor sharp, despite the onset of the twilight years. 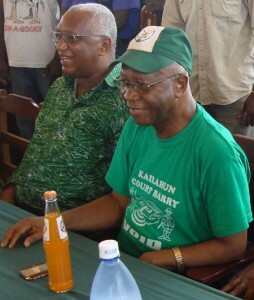 Nor has he ever kept secret – his support for Maada Bio’s leadership of the SLPP party. Throughout the battle for the party’s presidential flagbearership in 2010, which Maada Bio won, and the ensuing 2012 presidential election campaign, Sama Banya stood beside Bio through thick and thin – come rain or shine. (Photo: Sama Banya campaigning for Bio at the 2012 presidential election). Whilst many of Dr. Banya’s adversaries, including enemies of Maada Bio, may be highly critical of his support for Bio, few would accuse him of trying to destroy the SLPP party. But the death of former president of Sierra Leone and leader of the SLPP – Dr. Ahmed Tejan Kabba, is now ironically threatening to inflame an already highly volatile SLPP party internal politics. Last Saturday, the remains of former president Kabba was taken to the SLPP party head office in Freetown, where leaders of the party and supporters paid their last respects. 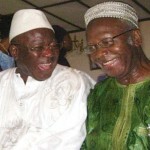 (Photo: Kabba – left and Sama – right. Two happy buddies). This was a golden opportunity for the party to also bury the hatchet. But did they? Dr. Banya delivered a poignant speech, dedicated to the memory of former president Kabba, whilst at the same time calling upon every member of the party “to unite behind the leadership of Maada Bio” – the party’s 2012 presidential candidate. Former Chairman of the SLPP – John Oponjo Benjamin, who has always had an ambition to become president of Sierra Leone, also used the death of Tejan Kabba as an opportunity to announce his intention to contest the SLPP leadership election, when it is called. (Photo: Benjamin – left and Sama – right). Both Bio and Benjamin are the two most popular contenders for the party’s presidential candidacy for the 2017 elections. Hence, it is no surprising that Dr. Banya’s statement of support for Bio, appears to have attracted such negative reaction, especially when and if taken out of context. But the erudite political commentator and former minister in Siaka Stevens government, is having none of it. He is hitting back. Writing in the Sierra Leone Telegraph today in his usual ‘take no prisoners’ style, he has gone all out to educate some of his critics in the subtle nuances of ‘comprehension and interpretation’. “When I take a look at school syllabuses or at West Africa School Certificate Examination results of today, I am intrigued by the subject – ‘literature in English’. I still do not know what it means, because when I took the Cambridge School Certificate examination in 1948, I offered English Language and English Literature as separate subjects. The Literature syllabus consisted of three books or novels, which were the set books for the Literature examination. In addition to questions on the subject matter of the book, there was a series of questions on specific texts. Candidates were asked to explain ‘with reference to the context’ and a quotation would be given. The unstated questions which the candidate was expected to deduce were; who made the statement and when; where was it made, and what circumstances led to it, etc. The editor did not give his readers any background to the statement, or to the circumstances leading to it. His only interest would appear to be a strong desire, as always, to ridicule Dr. Banya, or to further inflame the hearts and minds of those members of the SLPP, who may have a grievance against Maada Bio. But, by now he must have realized that as far as Dr. Banya is concerned, the effort is a fruitless one. Pauwui is back – you’ve been warned. Ignore this warning at your own peril! Have a blessed and enjoyable weekend!